Our family fled the declining, emptying Marion County for Carmel, Indiana, in the 1970's. 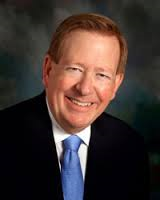 I and most of my family are Constitutional Conservatives who must usually vote "R" but would never vote for Jim Brainard. Brainard often makes the former Indy mayor who is now little more than a memory and a lingering bad taste in the electorate's mouth, the uber-corrupt Greg Ballard, look like St. Michael the Archangel. Lying Greg Ballard used the same fake argument claim "high salaries are needed for us to attract real talent we need" as an excuse just as Lying Jim Brainard does. You nailed it again, Paul... And I do so wish Brainard, whom I believe is an attorney millionaire mayor, would just freakin' leave.